The Red Toolbox The Red Toolbox provides professional web resources that include a detailed statistical Hit Counter, a Link Tracker allowing you to monitor the use of links on your site or in emails, Web Polls to create interactivity and a Search Engine Submission service that allows you to submit your site to search engines from one site. 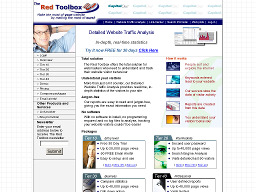 TrafficEstimate.com An online website traffic estimator that estimates traffic to your website and your competitors' sites. Provides traffic stats, web analytics, competitor analysis, contact information, etc. and offers over 25 useful site tools as well as information on the top 10,000 web sites. 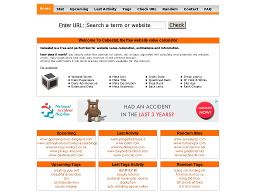 CubeStat.com A site stats aggregator that compiles data from a number of internet sources including age, indexed pages, backlinks, ranks and popularity. A condensed report is then provided that includes estimated website worth, daily pageviews and daily ads revenue for the requested URL. 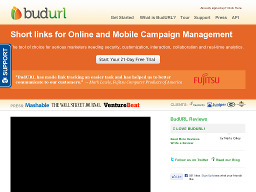 Budurl.com A url shrinking tool that can track click information as well as show you the timestamp, referrer, IP address, keywords used, and the total/ unique clicks. Graphs plot these clicks for total clicks and referrers. 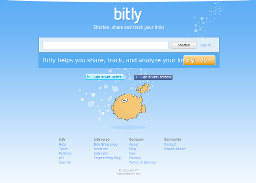 Bit.ly Allows users to shorten, share, and track links and can be accessed through their website, bookmarklets or API. Users can view complete, real-time traffic and referrer data, as well as location and metadata.